AUD is weakening because of Fed officials’ speech regarding empowering the monetary policy in the nearest future. The pair is finding support at 0.75540 with resistance at 0.75820 which the monthly pivot point is staying in between at 0.75600. The EMA of 10 is moving with bearish bias below the EMA of 100. The RSI is below the 50 level and the MACD indicator is in negative territory showing the price decline; however the Stochastic is indicating price growth but it has reached its maximum rate. 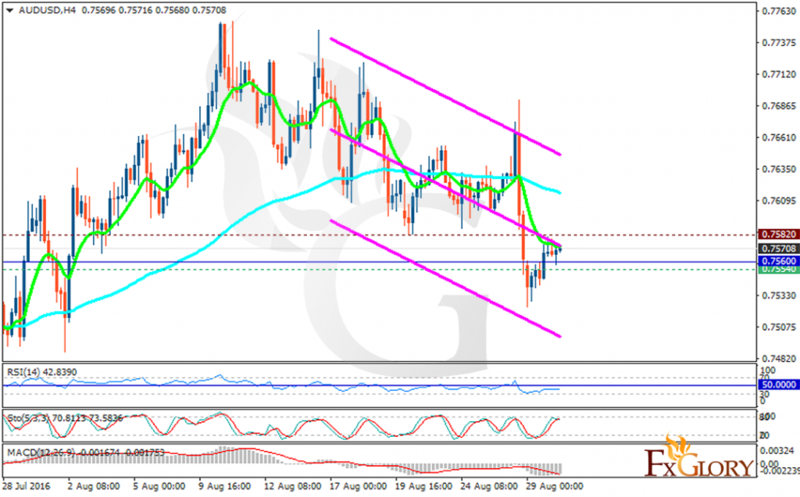 Further decline is expected targeting 0.7470.